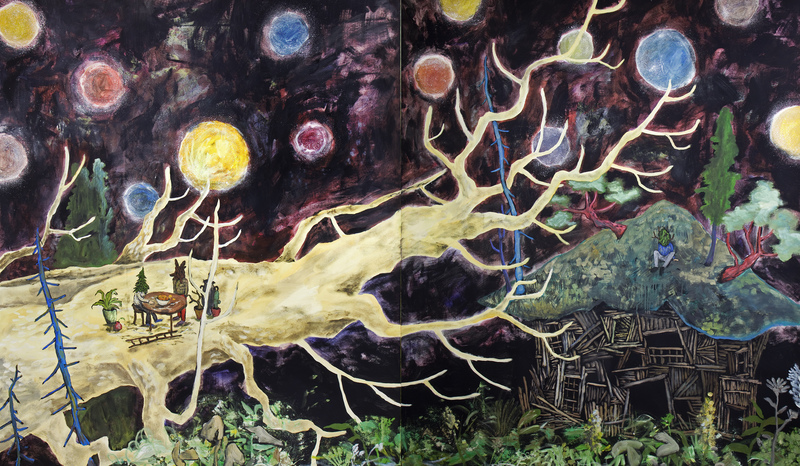 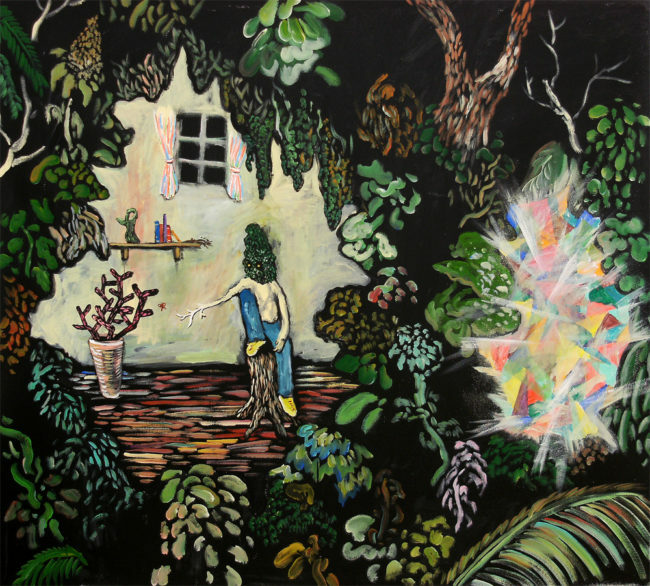 Hirako paints brilliant and fantastical scenes in deep and wild forests where plant‐like humans intermingle with elements natural and man‐made. 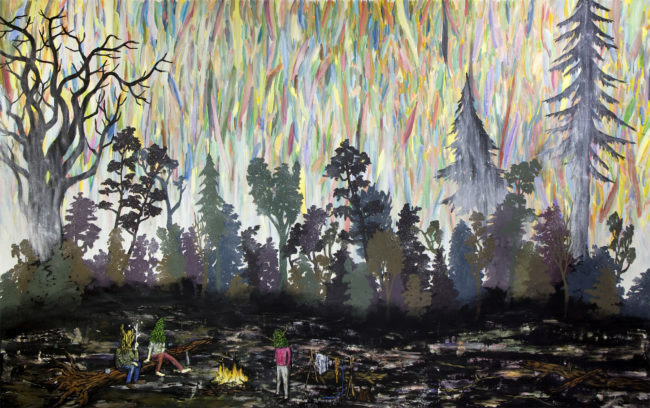 The artist is interested in the different meanings given to nature depending on religious and cultural backgrounds and examines the desire for humans to coexist with the natural world. 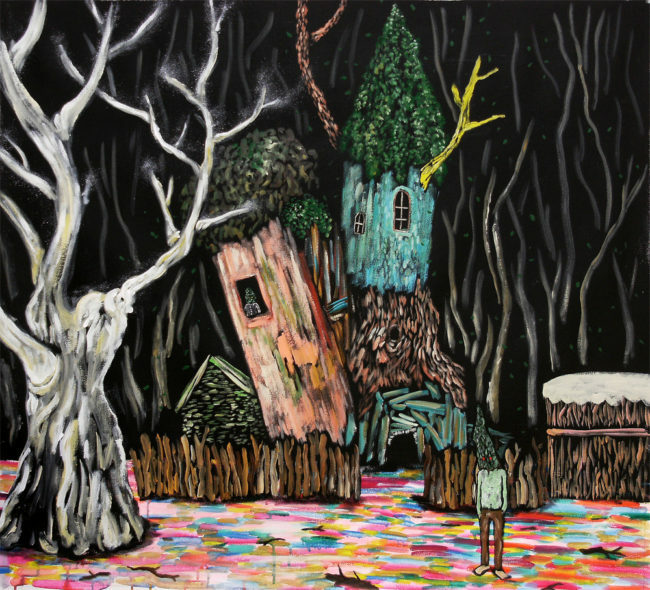 Hirako graduated in 2005 from Wimbledon College of Art in London and has exhibited in numerous galleries and museums throughout Europe and Japan including Christoffer Egelund Gallery in Denmark, Museum of Contemporary Art (Japan), Museum of Kyoto.